With Wimbledon season upon us i've been inspired to make some foods for the occasion. I tried this out on my lot and they loved it. The dish is fine for everyone as you bubble away all the alcohol when reducing it down, but if you prefer just add to the strawberries or leave the Pimms out totally. Reducing the Pimms in a pan over a hot heat to 40mls, pour half into a bowl and mix with 1 tbsp of the caster sugar, stir then add the chopped strawberry pieces and orange zest. Heat the freeze dried strawberry pieces, milk and cream in a saucepan until just below boiling, stirring all the time with a wooden spoon. Sieve into a bowl. Just before serving sprinkle each Brûlée with a level tablespoon of Demerara sugar, run a blow touch over to melt the sugar or if you’re really careful and brave melt under a very hot grill, but don’t take your eye off of them for a second or the sugar will burn very quickly. Pop back in the fridge for 5-10 minutes until the caramel has set hard, then serve immediately with a spoon full of the macerated strawberries and mint leaf. 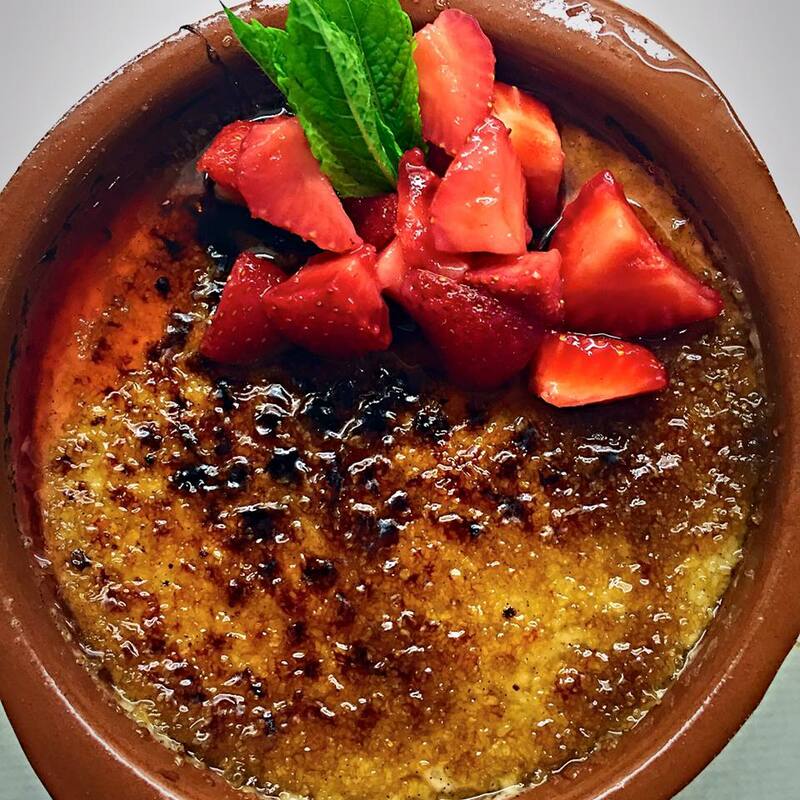 *TOPTIP: It’s good to spray a mist of water on the Brûlées over the sugar before you start to caramelise them, this helps to stop them catching, giving a nice even finish.